I experimented on this one a few weeks ago and BOY was it good. This is a no meat, bean and veggie soup. If you are trying the no meat for a few days, weeks or however I definitely recommend this soup. Occasionally when we do not eat any meat your mind is telling you that you are not full enough or you just feel really hungry. BEANS is a great replacement for meat….FIBER AND PROTEIN! Try it, NEVER underestimate what you can or can NOT eat! I just added all the above ingredients into my crockpot and let it cook on low heat for about 6-7 hours. I love cheese so I did add some low fat cheddar shredded cheese on top! 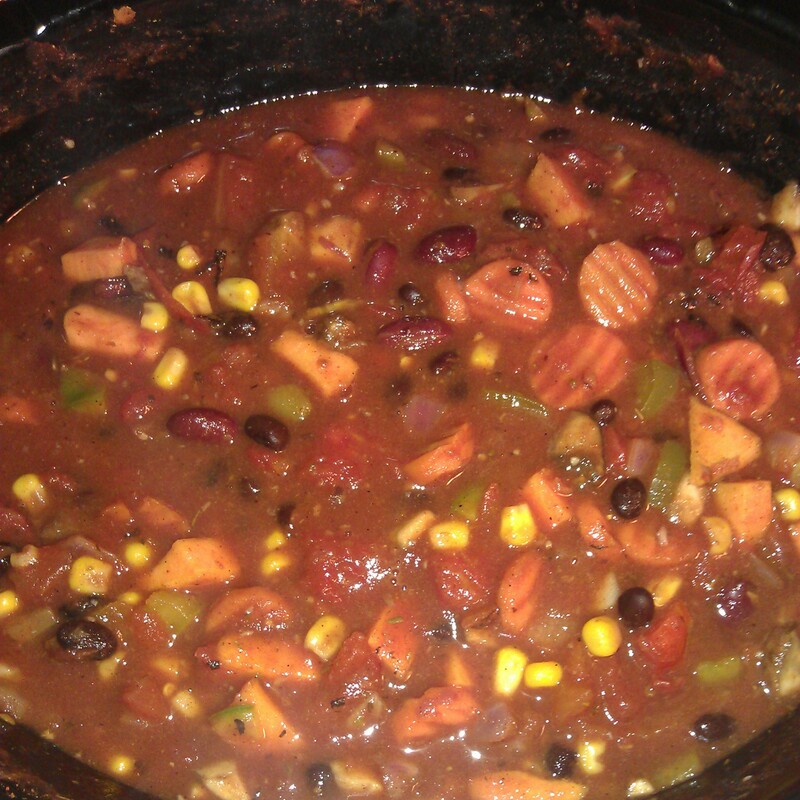 Posted by painb4gain on June 3, 2013 in Recipes and tagged Bean, Cook, crockpot, Vegetable.